A few months ago, we announced our Open-Source Retreat. Though we’d originally expected to sponsor two grantees, we ended up giving out three full grants (and then an additional shorter grant). Julian Shapiro launched 1.0s of Velocity.js (an animation engine focused on performance) and Blast (a library that makes text manipulable). Ashwini Oruganti will soon be releasing a pure-Python TLS 1.2 implementation. Samuel Giddins pushed out two major releases for CocoaPods and the Molinillo dependency resolution gem. 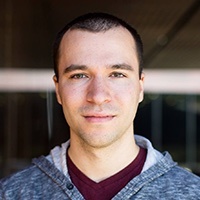 For his two-week grant, Andrey Petrov shipped a major urllib3 release, including upgraded security defaults and finer-grained retry configuration. If you’d like more details, we’ll be hosting a meetup at Stripe on Tuesday, October 21st. The grantees will talk about their projects and where they plan to go next. RSVP on our event page if you’d like to attend in person, or view our livestream. If you have any questions about the retreat, the projects, or anything else, please get in touch!